Just changed the wife's blower motor... this thread rocks, thanks guys!! how much for the wiper stalk? I want intermittent wipers on the Corolla XRS... lmk as well as the glovebox handle. Need that glove box handle assembly, ours is broken. If I could get it without the glove box attached would be great, lmk... I'm in Courtice(Oshawa) haven't been down your way in a while, so most likely would have it shipped to my work. Topic: Carbon fiber wrap on front end??? Re: Carbon fiber wrap on front end??? my buddy had it done to his Camry... I believe a place in Scarborough, if that's not too far for you I can find out. yeah... that's pretty much what broke, the door itself is back on properly, it just now won't stay because of the broken handle. Would you sell that? I can PM you my postal code to check shipping. looking for a glovebox for our vibe, the oil guys broke it trying to change the cabin filter... located east of Toronto, in the Clarington area. what's the Lift set at on this ECU?? is it the lower lift point (6200) or the higher lift point? Topic: Anyone using Windows 8? 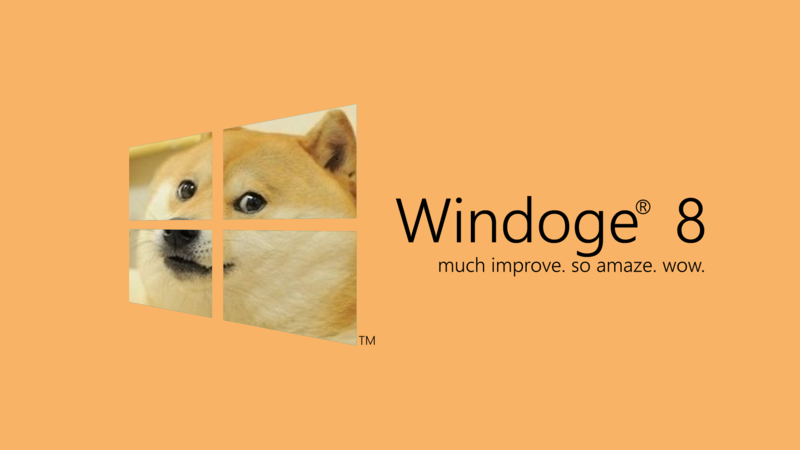 Re: Anyone using Windows 8? Chrome is definitely better than any version IE will throw in..
still spoken for? I'm probably picking up a Cosmo racing. do you still have the 2zz intake with PRM filter?? I just picked up a Corolla XRS so I'm looking for one, let me know and I'll take it if it works with this 2ZZ. Quick question... what if I was to run the wires from the amp on the JVC head unit into the wires going to the amp (so technically feeding 10w or whatever from the HU to the amp) would this blow the amp or would it be ok? Mine does that too, and mine is a JVC... Dual is a cheaper brand so it's not the stereo that's the problem, it's the OEM amp picking up noise I believe. I'll take it... finger on paypal trigger waiting. not sure if this shop is still around, but the Toronto Toyota guys used to swear by T-Lex in Scarborough. you're describing Bolt Pattern when you say 5x114.3 or 5x100. I think you're good there, though my harness actually came with the antenna adaptor included... Scosche branded and bought at Walmart. I did look at an E2 branded harness at Canadian tire and it also included the adaptor. anyone here just move to Courtice?? blue Vibe with gold wheels? you live up the street from me. no it won't... the blinking light is antitheft for the HU only, as far as I could tell... unless your car was actually advertised and proven as having an "alarm system" most cars come with keyless entry, not really alarm... just remote to lock/unlock your doors. ^nice... I bought mine from your area. yeah there's an optional pocket... meaning you can take it off and put a double din unit instead of single din... great kit, just need to fit it better on the sides, I'm going to try that now actually, lol. all PMs and Emails have been replied to. Shocked it is still sitting on a shelf :o I bet is the lack of bluetooth, everyone seems to be looking for that, specially now that laws have changed regarding driving with your phone on your head and the $500+ fines everyone is getting when they get caught. probably not many Vibes, it's first meet of the season so it might be quiet. got my dash kit and harness (scosche branded) at Walmart, this was in Canada but I believe the US walmart carry them as well... the harness I got even came with the antenna adaptor. I thought salt wasnt used in AB? or at least I was under that impression from other canadian sites. basically a 2" drop after they settle down? hmmm... I'll ask my wife and see. Topic: Will a stock sized tire fit on new rims? Re: Will a stock sized tire fit on new rims? vibebolista, you have any close up pics of your car?? I found a set of 17x7 ET38's for a good price, just curious as to what the size looks like and what tire size you run. it will fit... 7" is not a big stretch really, won't even make a dent in the install. yeah it seems to be big salepoint these days, though any car guy would probably go out and buy their own stereo and upgrade either way. here's a little funny I did a few weeks back, lol. Clarington area here (more Durham really, lol Work in Ajax live in Courtice) anyone else in the Durham/Clarington area?? we should start meets. Topic: Gauge color question...factory or mod? Re: Gauge color question...factory or mod? I bet it's just a matter of replacing the bulbs (which probably have red condoms over them) to a hyperwhite LED... I did this with one of my cars and got rid of that old school yellow, looks much better.